StS Resources and Technology have started 2017 in the best possible way. The Middlesbrough company have been successful in winning a contract to assist in the build of new modules for the Johan Sverdrup platform. The project is taking place in Grimstad, Norway at AS Nymo. At present StS have only placed riggers into rotation but expect to use further disciplines, such as climbers, as the job progresses and the structure gains size. 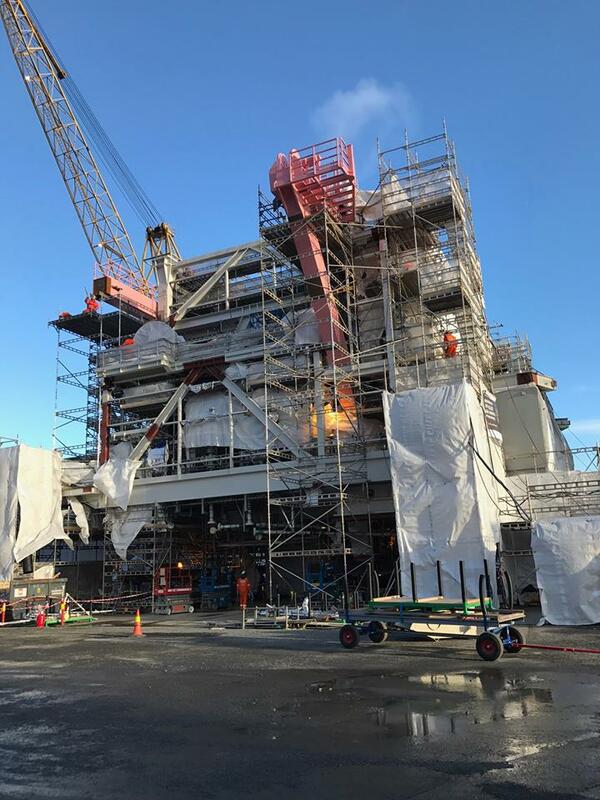 The work at AS Nymo is one of a number of projects currently taking place across Norway assembling various sections for the Johan Sverdrup field. The giant Johan Sverdrup field is located in the North Sea, offshore Norway. The field, operated by Statoil, will be developed in phases and the first phase involves the establishment of a field center consisting of four platforms. Production start-up is scheduled for end 2019. Anyone interested in registering their details with StS can upload their CV and Certificates via the ‘Work for Us’ link on the website.